NOVATO, Calif. (KGO) -- A cat that was missing for over eight years has been reunited with her family at the Marin Humane Society, all thanks to a good Samaritan. Rick Benson says the cat was hanging around his workplace, so he would feed it. He brought it into Marine Humane Society early Wednesday morning and, luckily, the animal was micro chipped. 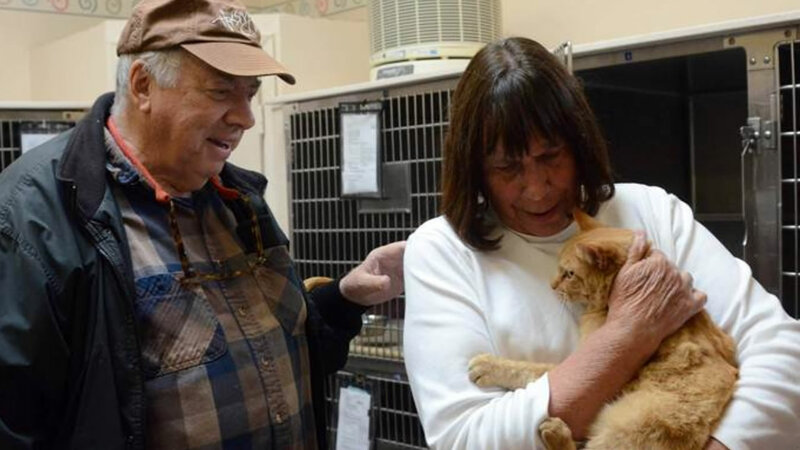 Nancy and Stephen Payne were finally able to reunite with their beloved cat, Ginger, after she was missing for almost eight years. Marin Humane Society says eight years is a new record for the organization.